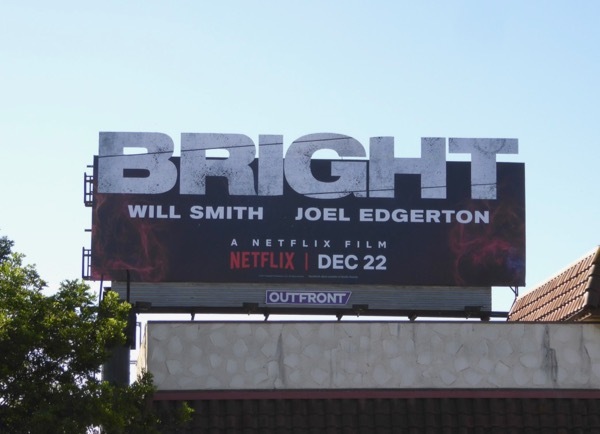 This Christmas movie season may all your days be merry and Bright, courtesy of Netflix's new original motion picture starring Will Smith and Joel Edgerton. 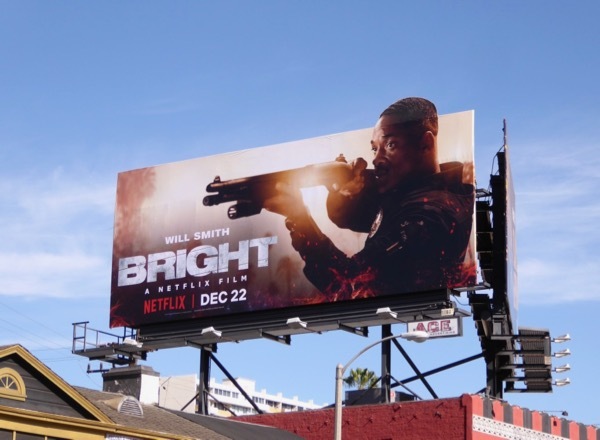 The streaming service reportedly paid $90 million in a bidding war to nab Will Smith's new movie, so let's hope the gamble pays off as the star hasn't enjoyed the best of box office success in recent years. 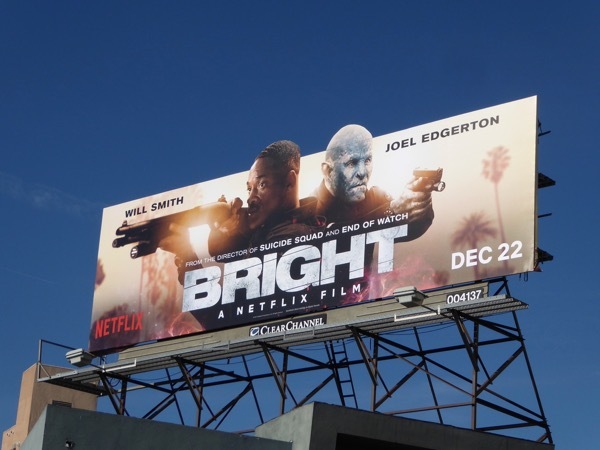 In this fantastical cop buddy movie written by Max Landis and directed by David Ayer, Smith's LAPD officer 'Daryl Ward' is paired with a rookie Orc named 'Nick Jakoby' played by Joel Edgerton (in cool creature makeup). 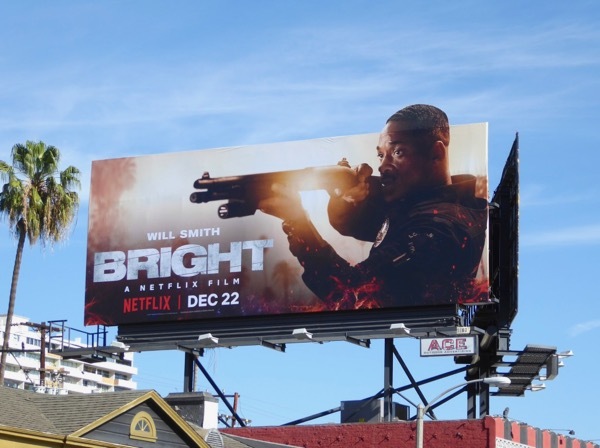 The action takes place in an alternate present, where Orcs, Elves and Fairies all exist alongside humanity, and on a routine patrol night they come across a powerful mystical artifact, a magic wand, with the power to alter the world they live in. 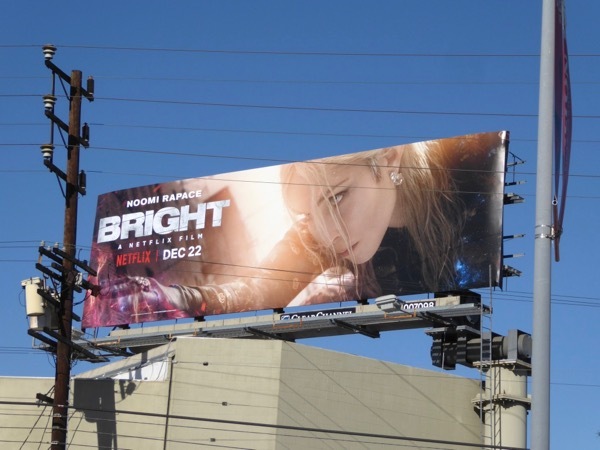 Unfortunately Noomi Rapace plays a warrior priestess dark elf, 'Leilah', who also has grand plans for the wand. 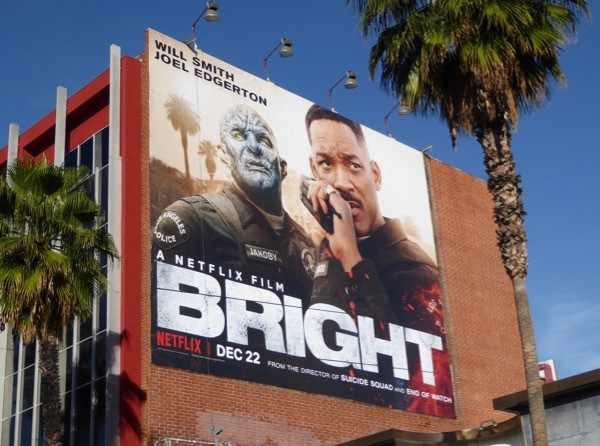 These assorted Netflix movie billboards were spotted along the Sunset Strip, Westwood Boulevard, Melrose Avenue, Beverly Boulevard and Santa Monica Boulevard from November 28 to December 13, 2017. 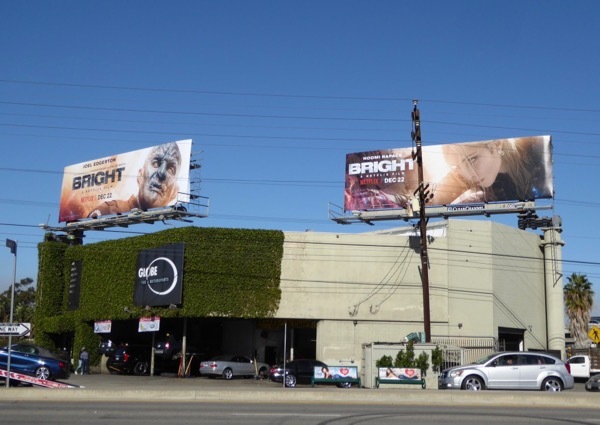 Of special note was a duo of interconnecting special extension cut-out billboards above West Hollywood's busy Sunset Strip and an impactful collection of five billboards for the movie at the heavily trafficked intersection of Venice and La Cienega Boulevards. 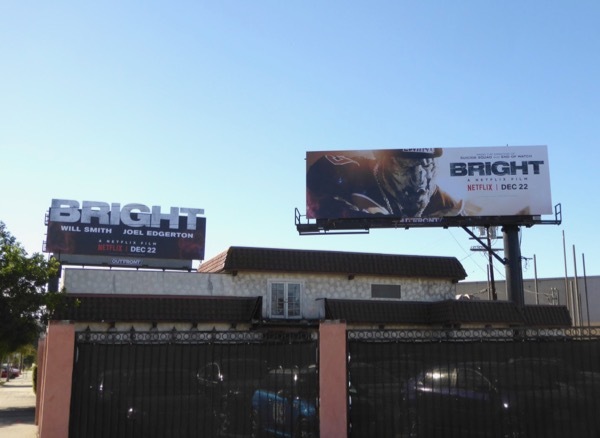 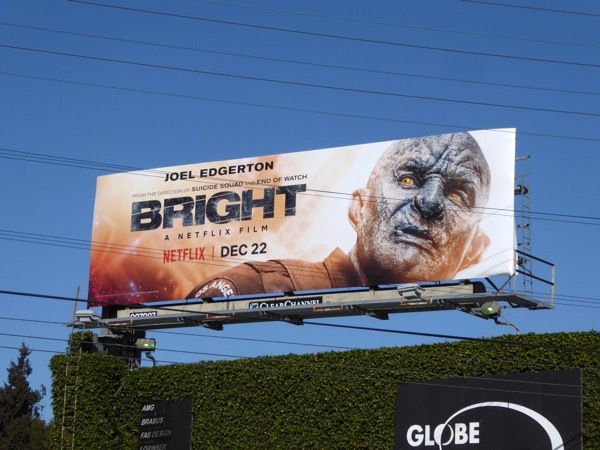 Now that The Crown's second season has debuted, Netflix is certainly giving this fantasy crime movie a big push with all these outdoor ads in the skies of L.A. and making sure it was money well spent for the film. 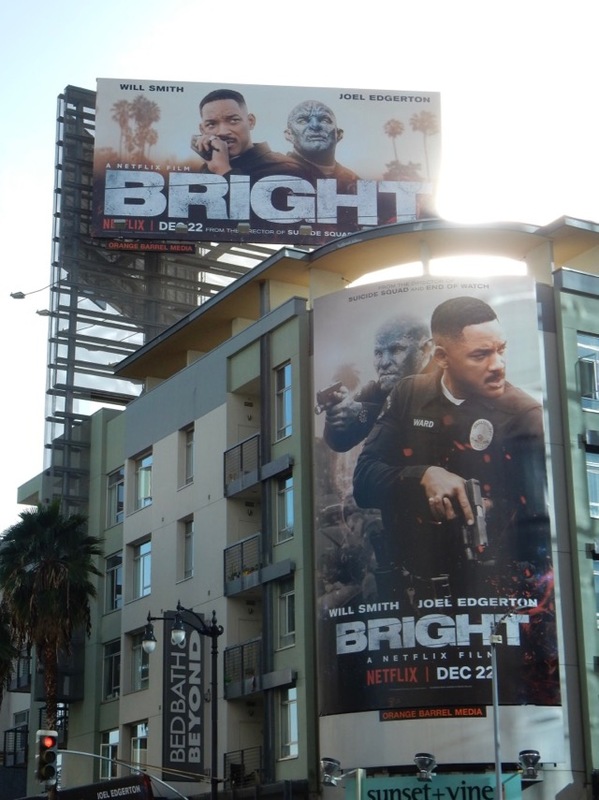 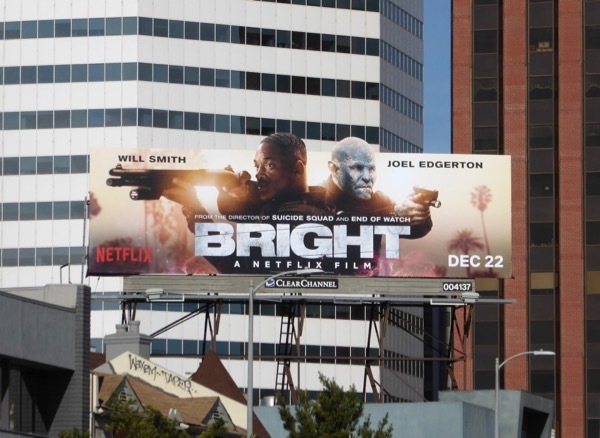 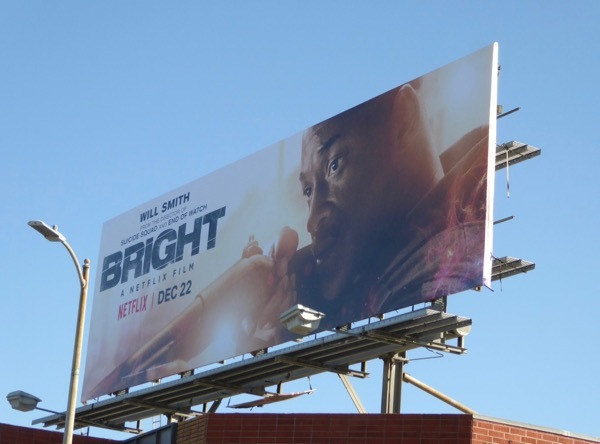 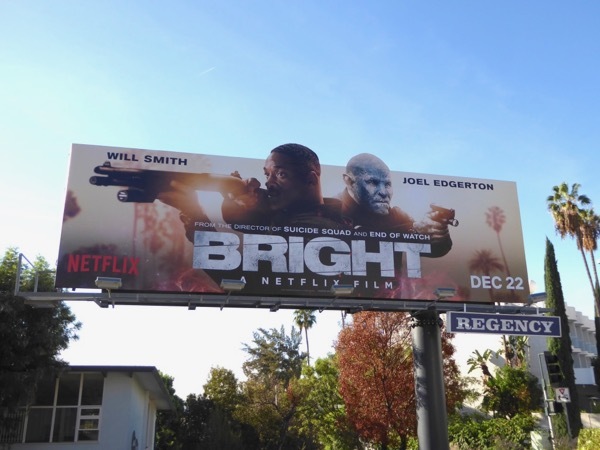 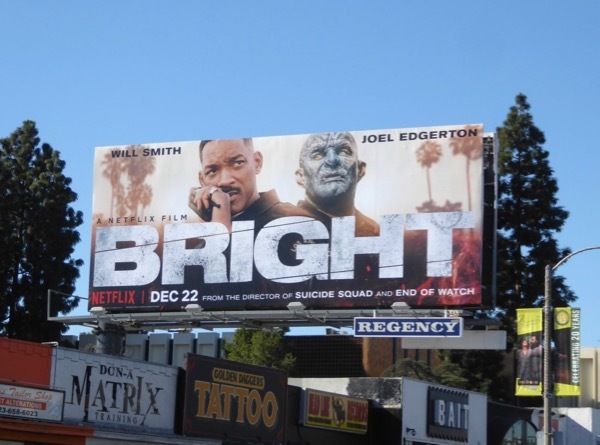 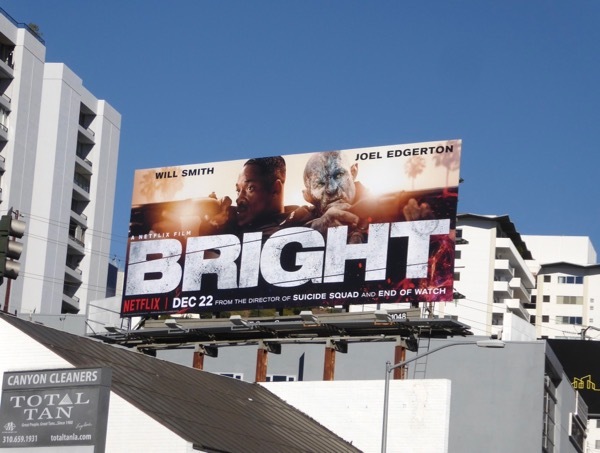 Will Smith fans can also enjoy these Collateral Beauty movie billboards, these After Earth movie billboards, these Concussion film billboards and these Men in Black 3 billboards. 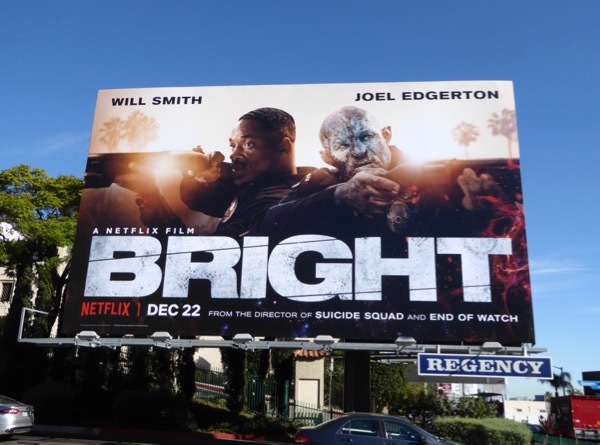 Let's hope this mashup of Middle-Earth and the City of Angels can deliver some spellbinding cinematic thrills on our small screens this festive season. 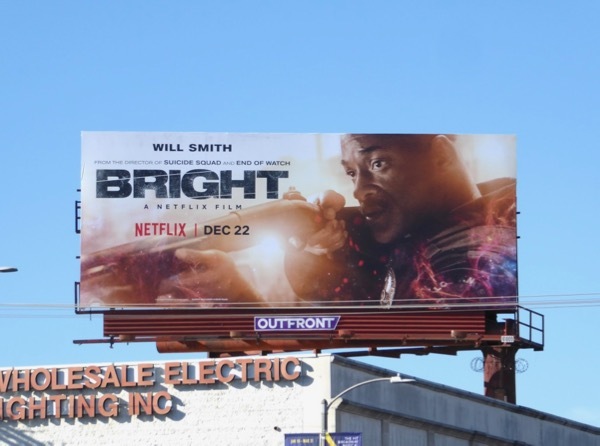 Don't stray far as MOVIE WEEK continues tomorrow with even more feature films to entertain the masses over the holidays. 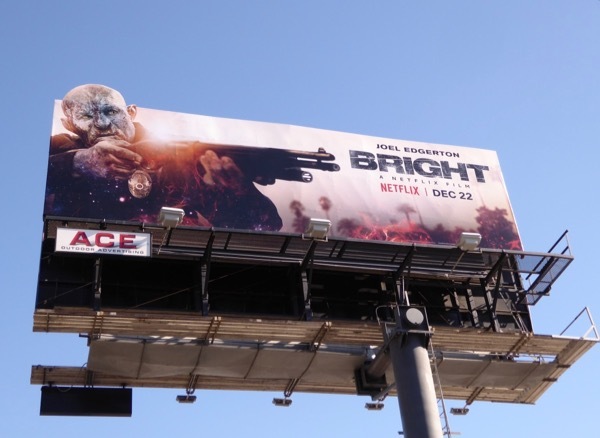 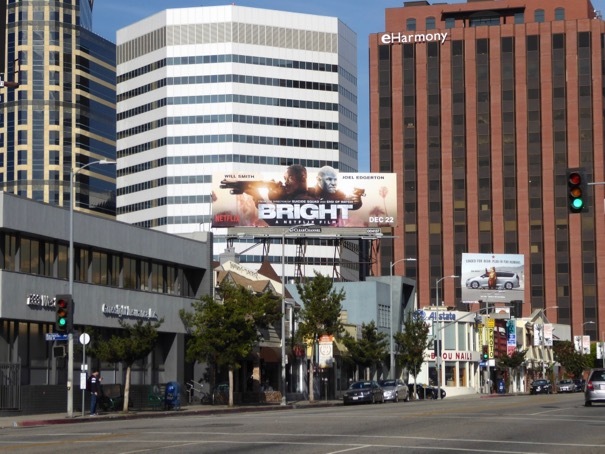 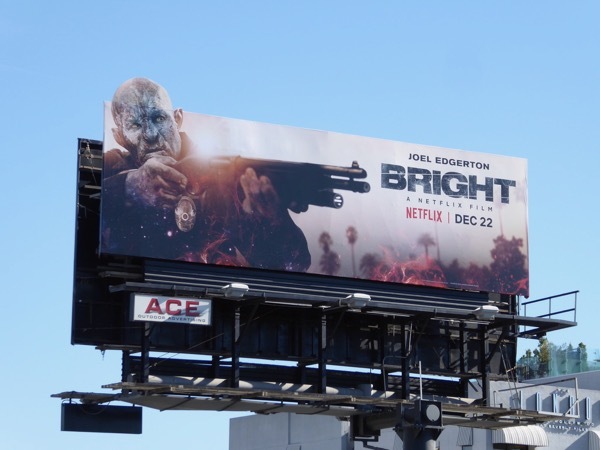 UPDATED: Here's another billboard example for the movie spotted along Sunset Boulevard on January 15, 2018.